Although Honda’s popular Odyssey was first introduced in 1995, it didn’t hit its stride until a 1999 redesign. Over the years, the Odyssey’s solid reputation for quality and good gas mileage ratings have enabled it to become one of the best-selling minivans in America. The Odyssey was redesigned for the 2011 model year. All 2011 Odysseys are fitted with the 3.5-liter 24-Valve SOHC i-VTEC V6 engine, rated at 248 HP. The LX, EX, and EX-L models use a five-speed automatic, while the Touring Edition uses a six-speed. Fuel economy figures have improved over previous years, with the LX, EX, and EX-L rated at 18 city / 27 highway / 21 combined and the Touring Edition rated at 19 / 28 / 22. The Odyssey went through a significant redesign in 2005 and underwent a slight facelift for the 2008 model year. The 2008 Odyssey features a 241 horsepower (HP), 3.5 liter, 24-Valve SOHC i-VTEC V-6 engine in EX-L and Touring trim, and a 244 HP 3.5-Liter, 24-Valve SOHC VTEC V-6 engine in the LX and EX models. The engine in the EX-L and Touring models use Variable Cylinder Management with higher compression (10.5:1 compared to 10.0:1 in the LX and EX). The EX-L and Touring editions of the 2008 Odyssey deliver 25 miles per gallon (MPG) on the highway. If you own an older Odyssey and are looking to improve its gas mileage, consider switching to a set of low-rolling-resistance (LRR) tires at your next tire change. Depending on the model year, edition, and OEM tire size of your Pilot, the choices may include the General Grabber HTS, Kumho Solus KL21, Continental CrossContact LX, Goodyear Assurance Fuel Max, and Michelin Energy LRR tires. Purchased a 2007 Odyssey after having driven after having driven a 2000 for seven years. The mileage on the 2000 was around 19 around town and 25 miles per gallon on the road. The 2007 vehicle is lucky if it gets 15 miles per gallon around town and 21 on the road. Does anyone have any idea what can possibly be done to help improve the mileage on the vehicle? Two other people have the same experience that I am having. With a price tag fast approaching four dollars a gallon it becomes a rather important issue. Is there any retrofit or any additive that can be used to help improve the situation? I was considering being an Odyssey because My Doge Caravan gets like 13 miles per gallon city and i am going broke on the gas every week!!! I have heard that all the minivans get poor gas mileage. I am going to try to get a 2007 Dodge caravan with a 4 cylinder engine and that gets 19 miles per gallon. Drive like grandma and save money! I have a 2006 Honda Odyssey EX-L. Several times over the past year I have measured mileage starting from a full tank, getting 21.01 to 24.08 mpg, over a roughly 50/50 mix of city/hwy driving (EPA rating: 20/28 mpg), rarely using the cruise control. Last weekend I filled the tank just before getting on the highway to go up to Maine, 177 miles total, the last 35 over slower but steady roads. I set the cruise control on 62. I also used it wherever possible off the highway, and used light acceleration where not. Then I filled back up and computed the mileage: 32.48! Over the past week, including the return trip, I continued to drive this way. I filled up this morning after 418 miles and got 25.81. So my worst result driving this way was 7% better than the best previous result, and 23% better than the worst previous. The best result this way was 35% better than the best previous result, and 55% better than the worst previous! I assume that in addition to the reduced drag from reduced speed, the cruise control is more efficient at maintaining speed than I am, and coordinates with the variable cylinder control to maximize efficiency. My best milage was 20 mpg, on the highway @ 60 MPH, and 2,000 RPM. What I cannot understand, why does the speed odometer, go to 160 MPH? Where can we possibly drive that fast? Why not have it go to 90 MPH and decrease the RPM’s from 2000, at 60 MPH to 1500 or less. My 2002 Cadillac STS in Florida, gets 32 MPG on the highway, at 75 MPH and 2000 RPM. So I suggest Honda and all other Auto makers get on board with this suggestion.. I also sent this to Honda Corporate HQ with no response.. I have driven 5159 miles over the past 18 days, while on vacation from NW Indiana to Portland, OR. I just totaled my miles and gals. to calculate my overall gas mileage. To date I have driven 5159 miles and used 194.726 gals. of regular unleaded 85.5 to 88 octane. My overall MPG is 26.494. I think that this is outstanding for a 4,500 lb vehicle carrying a load of approximately 800 lbs. My best tank was while driving from Ft. Collins, Co to Moorcroft, WY a total 339.8 miles. (Gas was $3.479/gal, this is the best price I’d seen since Minneapolis on 9/9/08) I will fill up in the AM to complete the final 1000 miles. My total for this trip will be 6,400 miles. I believe that my overal will be 27 MPG or very close to that figure. This is an update of the above. We completed our trip on Sunday 9/28/08. Our final overall MPG was 26.721 MPG. This trip totaled 6454 miles from Crown Point, IN to Portland, OR and back, via IL, MN, ND, MT, WY, WA, OR, ID, UT, CO, WY, SD, NE, IA & IL. Lots of mountains in MT, WY, CO and ND. Up to 12,200 ft. I never exceeded 65 MPH, I always use the Cruise Control when possible, AC/Climate Control when needed. We are currently on a driving vacation from Dallas, TX, to Orlando with our 2008 Odyssey LX and have gotten between 27 and 26 mpg with highway driving with the A/C running full time and no variable transmission. The best I’ve gotten before was on a similar trip from Dallas to Shreveport with the cruise set at 60 mph and the A/C off. Filled up when we left and topped off when we got there — 30.2 mpg. We average 18 mpg around town with full A/C. If people would learn to accelerate slower (keep rpm’s below 3000) and anticipate their stop by coasting more, anyone’s mpg will go up. My 2008 LX is giving me only 13 miles in the City, I don’t know what to do, I put a K & N Air filter, trying to get more miles, but still the same. My soccer mom wife just called to say she registered 12 mpg from carpool/city driving in her LX! @tacoyac – Ouch! Is she ready to learn how to drive with a light foot? @Ryan – 1) make sure that she’s in tune and everything’s up to spec mechanically. 2) learn to drive with a light foot. If your Odyssey is not equipped with an Instant MPG gauge, pick up an aftermarket unit like the ScanGaugeE or the updated AutoMeter EcoMeter. 3) switch to low-rolling-resistance tires and synthetic fluids at the next appropriate maintenance visit. @ArtChee – A tire change can make a noticeable difference. What type of tires are on the Odyssey now? If they’re not low-rolling-resistance tires, you might see fuel-efficiency pick up a bit with a swap. The Continental ProContact with EcoPlus or Bridgestone Ecopia EP422 are available in 235/65R16. LOL… Lincoln Town Car has been getting excellent mileage for the 10 years that we drove it – not just following the Odyssey. Wasn’t aware of the 20% under EPA MPG rating when put on the new set of tires. With the VCM on the iVTEC engine, I’m running on 3 cylinders about HALF of the time. Should be getting much better than 15/22 mpg. @ArtChee – First two things to consider … you’re running E10 gasoline now, which will reduce mileage over the 100% gasoline that was likely used to test back in 2005. The EPA lowered ratings in 2008, retroactively (rewriting history) … we show the original ratings here. 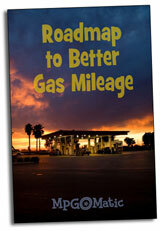 There are a bunch of things that can contribute to lower mileage. Check alignment, brakes, fuel injectors, oxygen sensors … look for things that increase rolling resistance or drive train efficiency. my RV another 4600 miles. 2006 ody ex-l purchased 2 month ago. first 2 tanks i got 17mpg 80% in town driving. it was super hot and aircon was on 90% of time. second two tanks, without aircon i got 21 mpg on 60/40 in town/highway. my recent 700 mile trip with lots of cruise control @ 75-80 mph, little aircon use. we did 26.3 mpg. amazing how the cruise control keeps the engine in eco mode most of the time. 3 adults with light luggage on trip. on the first 4 tanks i had up to 8people in the van at times. i am happy with my mpg. After the transmission went out on our 2008 Odyssey while on vacation with 190K on it (we bought it new in 08) and considering the conditions/options we decided that the best thing to do was to get another vehicle. We settled on a loaded 2010 Odyssey with 74K miles on it. We bought it from the same dealer that we bought our new one from, and the ’10 model was purchased new there as well. All 100% maintained by Honda since new, still under warranty, and passed their “250 point” inspection that they supposedly require before they sell a pre-owned vehicle, so I was bit surprised when my wife claimed the mileage was poor. We just got back from driving to Florida and we never got better than 20.8 mpg on the highway. I have a 1970 Ford Bronco with a carburated 302 that gets better than that on 33″ tires. Extremely disappointed, needless to say..
@Steve – 20.8 MPG is a good bit under the rating for the 2010 Odyssey. How did it compare to your real world mileage in the 2008? – were you carrying stuff on the roof racks? – was the van full of people and gear? – what was the average cruising speed? – was the A/C on most of the time?